Yep! It's all about Cali this week. She started horseback riding lessons Friday and looks like she'll be a natural. 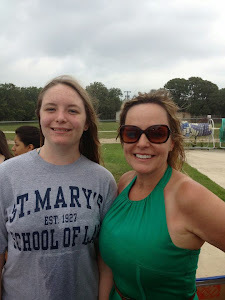 Miss Karen is her teacher, along with daughter, Sarah. 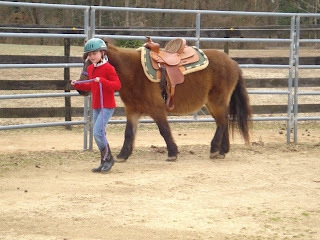 The first lesson Cali learned how to groom, harness and saddle Tappy. 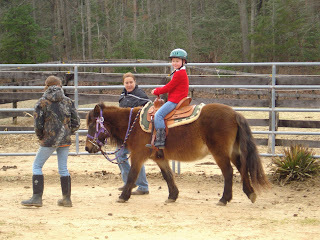 She then guided Tappy around the corral and then after earning the horses trust, she saddled up and went a few rounds. Tappy is a retired Amish horse, who still loves to pull a carriage, play tag with Hank, the horse dog, Louisa, another retired Amish horse, and Karen's 5 kids. Seriously, it's hilarious to watch.